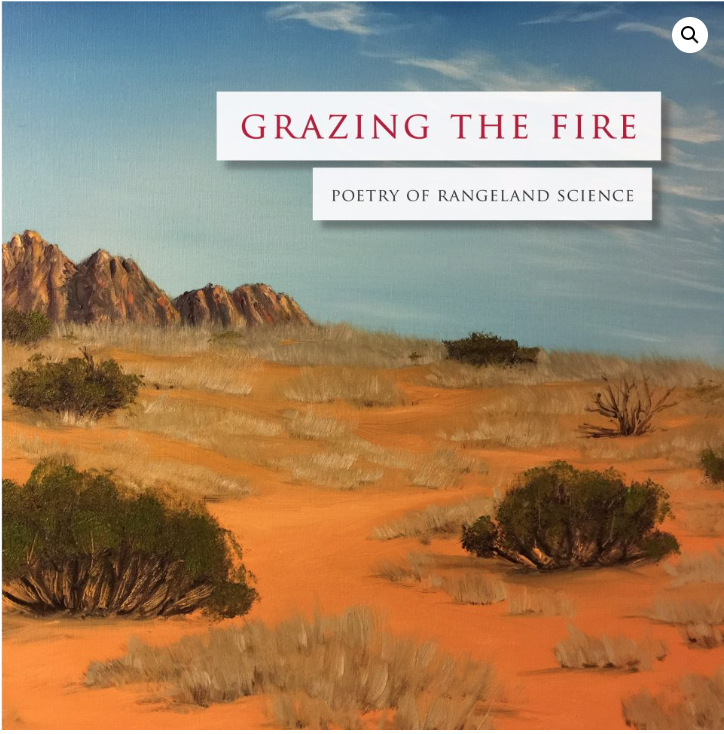 Grazing the Fire: Poetry of Rangeland Science is a collection of poems crafted and inspired by published scientific research papers, alongside visual art, in celebration of rangelands worldwide. “I am proud to announce that our collaborative book of poetry inspired by scientific articles is forthcoming in February--Grazing the Fire: Poetry of Rangeland Science. Feel free to pre-order (link on the left); 50% of all sales will support indigenous and international students to attend professional and scientific meetings. If you've spent time with livestock producers, you know that they probably watch the weather more closely than the TV weathermen and women do. For one thing, they're out in it everyday. For another, getting cattle through an unpredictable winter isn't a matter of last minute planning. Especially when many producers are at the start of their calving season right now. First, cattle need to be in good body condition, which requires good nutrition and plenty of fresh water. If you've never had to go break ice off a water tank with a sledge hammer, or laid on blankets on the ground and used a blow torch to melt ice off the flow valve on a cement self waterer, you haven't truly experienced winter. You sure get good at figuring out your layers, and keeping hot drinks in thermoses, and stuffing hand warmers in your gloves. In cold regions like northern Colorado, cattle grow a longer hair coat for winter. They have thicker skin than we do, and sub-dermal fat, which also helps them thrive in literally freezing temperatures that would have us running for another layer or for the warm house. But it's also important to pay attention to the windchill factor, not just the temperature. So when you drive past farms and ranches and you see stacks of hay bales around pens or run-in shelters with a roof and three walls, these areas give cattle a chance to get out of the wind and warm up. If the temperature with windchill is creeping down below 19 degrees Fahrenheit, then there will need to be some changes to their diet to increase the energy available so they're not only maintaining their body condition, but also generating more body heat. It may seem impossible to believe that cattle are warm enough, but I've been amazed when I've worked with cattle in the cold and steam is coming up off their bodies. If you laid your hand on them, they're actually very hot, even if you're barely able to stay warm. In fact, when the weather swings the other way in the winter and you get a warm 60 degree sunny day, that can be hard on cattle and then they're way too hot. Maybe you've been to your grandma's house in the winter and she keeps the thermostat at 75 degrees and pretty soon you're sweating. Well you get the idea. And frozen ground, also known as "poor man's concrete," is better than mud. Mud makes cattle loose weight because it's hard to walk through and requires more energy than walking on frozen ground. If it gets on the hair coat, it can make cattle colder when the temperature drops again. You'll see pens get scraped out during a thaw, if it lasts long enough, or straw bedding added to keep cattle out of the mud. During calving season, the mommas are usually brought up to the barn or pens closer to the house because there will definitely be some late nights keeping watch for difficult labors and for first time moms who might need assistance. There are a lot of sacrifices made when raising cattle, delayed or skipped meals, sleepless nights, cancelled plans, etc. They're our responsibility and entrusted to our care. Someone always has an eye on them and their needs are being attended to all the time. That's why I don't worry about cattle in the winter. 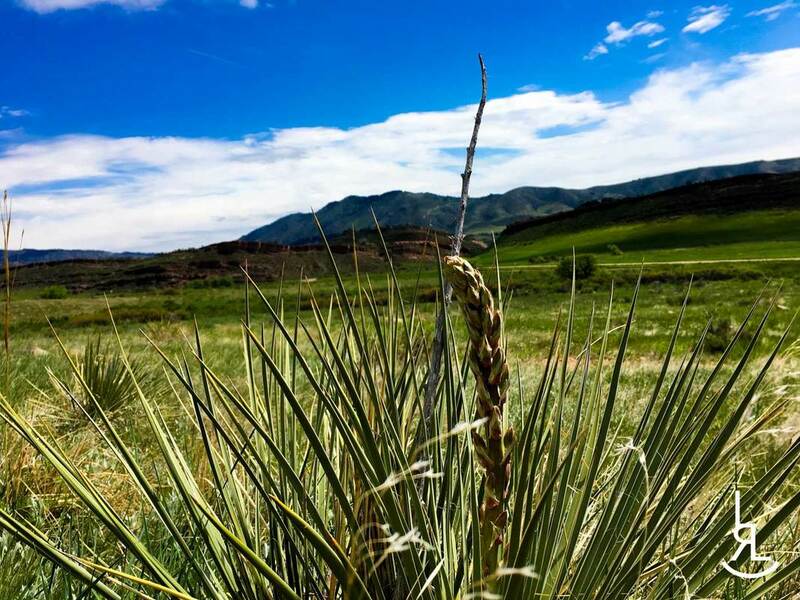 What are rangelands? It depends who you ask, but one definition would be grasslands and shrublands, but they can also occur in deserts, tundra, forests, and high mountain meadows. What we call parks in Colorado, like North Park or our friends in Wyoming call holes, like Jackson Hole. Some folks consider rangelands to be where livestock and wildlife graze. They can be on public or private lands, and cover about 50% of the world. Many of these areas aren’t suitable for crop production, and have a diverse native plant community adapted to low precipitation. These plants help hold soil in place. We also look at how much carbon they sequester. In grasslands, our upside down forests, a lot of carbon is stored in plant roots. In arid grasslands, there are soil microbes that oxidize methane before it goes into the atmosphere. They really are amazing places that you can get to know through a favorite plant, a flower, wildlife or birds, and even cattle. I even love hiking through them!